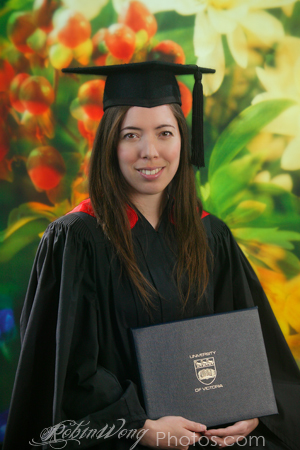 interior with stained glass, or in nature with mountains and trees. 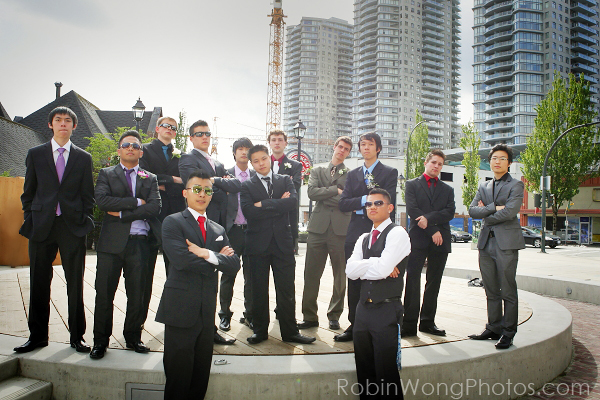 We guarantee you a sunny day for your special occasions, regardless of the weather outside. 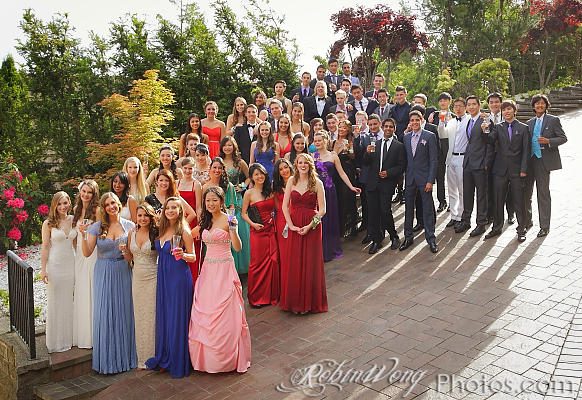 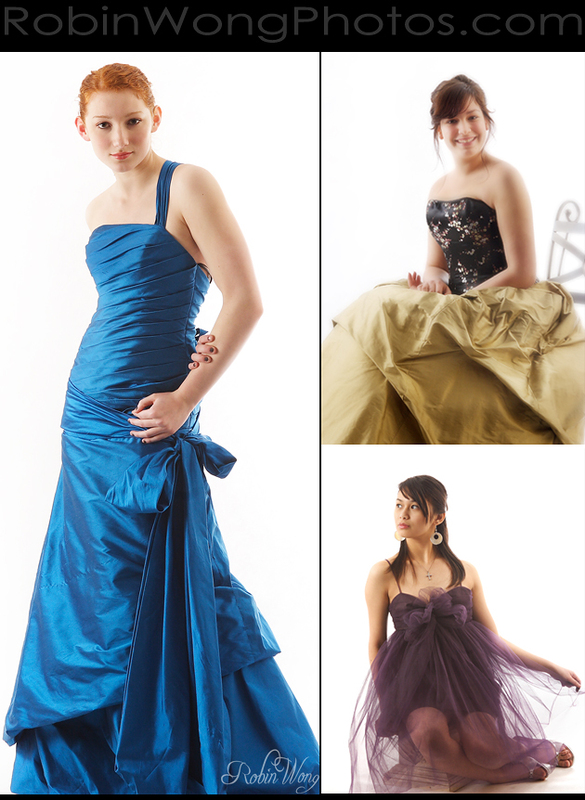 Your formals will have the professional and elegant look of that from a glossy magazine. 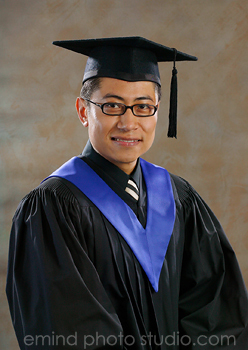 At emind, we use a Scene Machine. 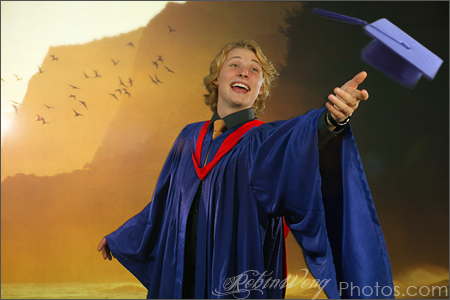 Unlike blue and green screens, the Scene Machine provides real-time previews of the subject with the background, does not require the same level of post-production, and offers a quicker turnaround. 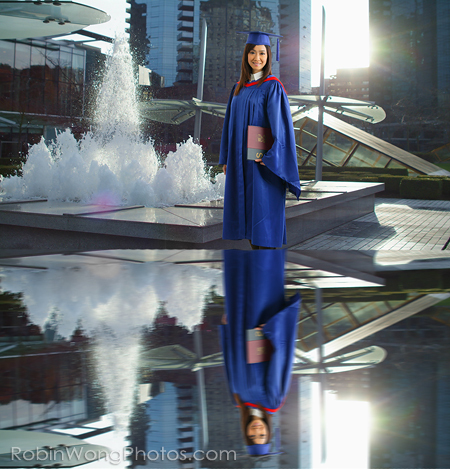 There are no surprises later; you can see the final images during the shoot and change poses, lighting, or backgrounds to capture the perfect moment. 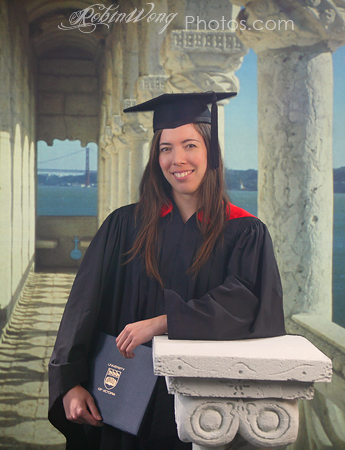 With our new and improved Virtual Backgrounds, our Scene Machine is an ideal way to inject new life and creativity into modern, high-end portrait photography. 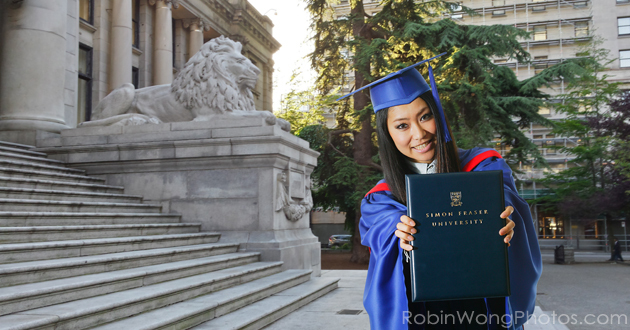 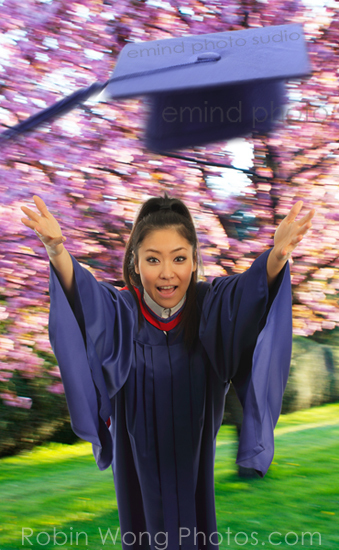 Graduating soon? 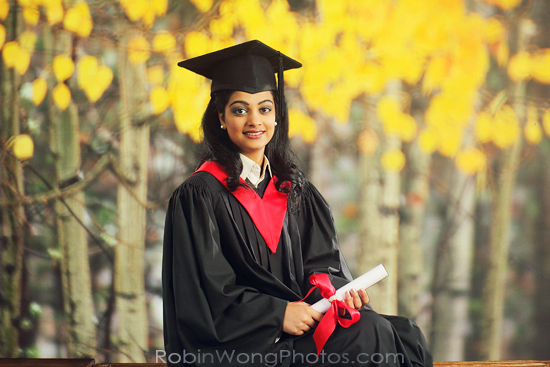 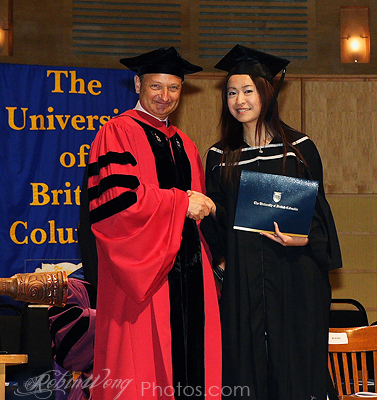 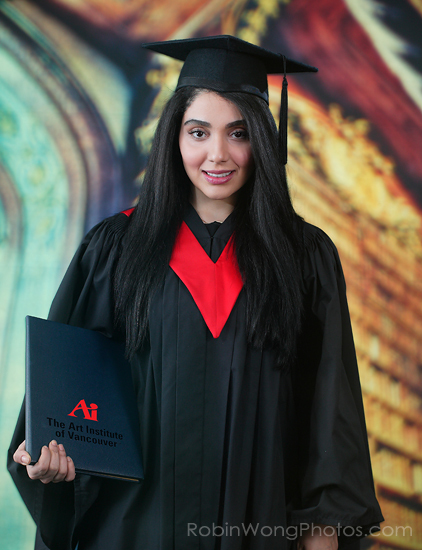 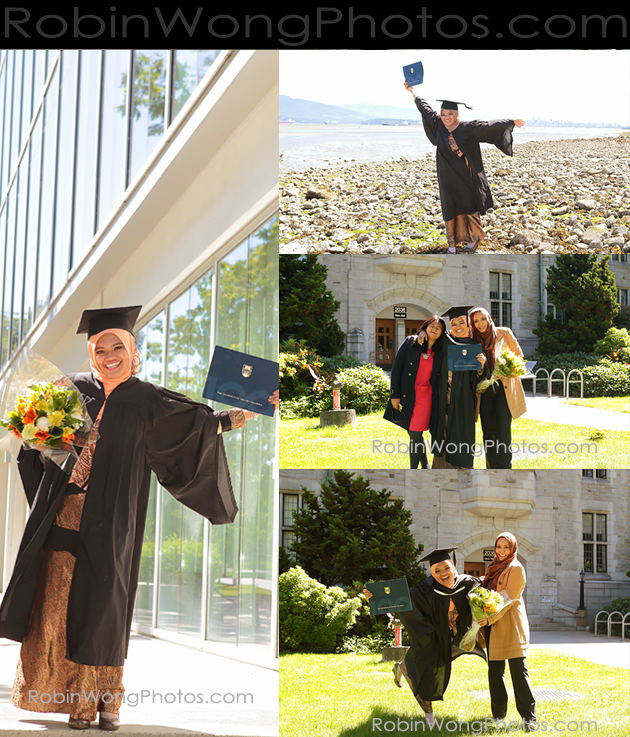 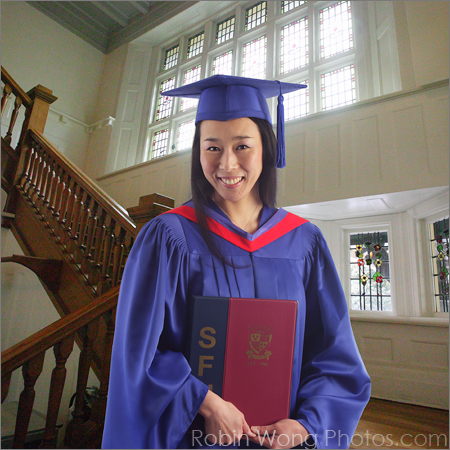 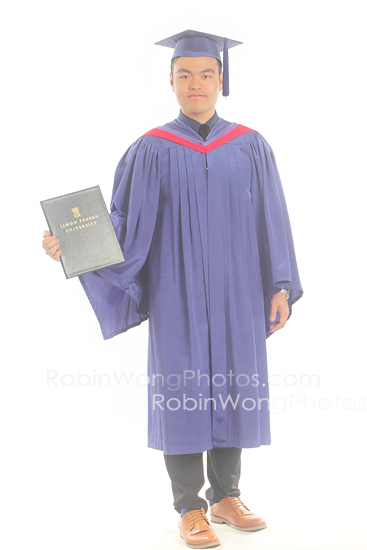 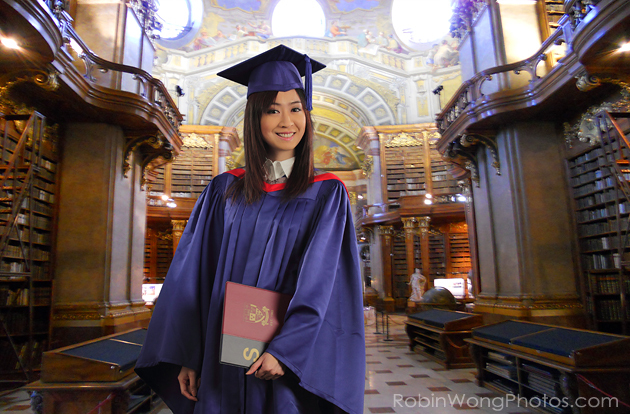 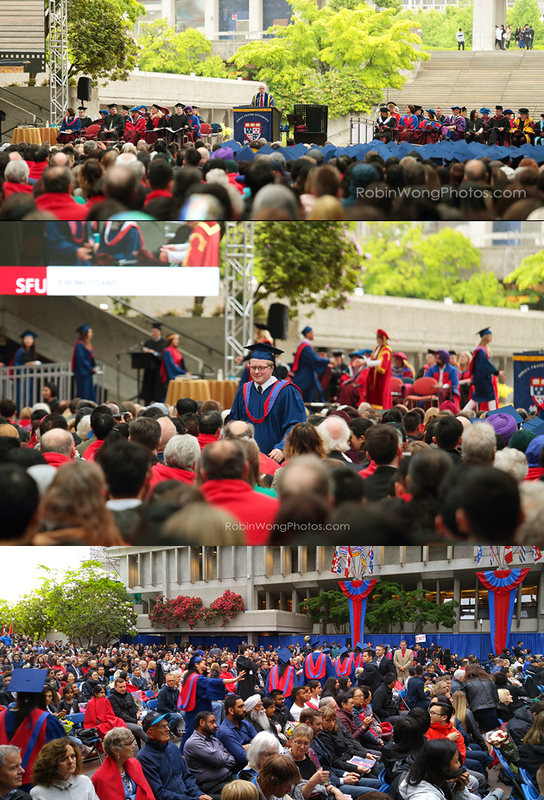 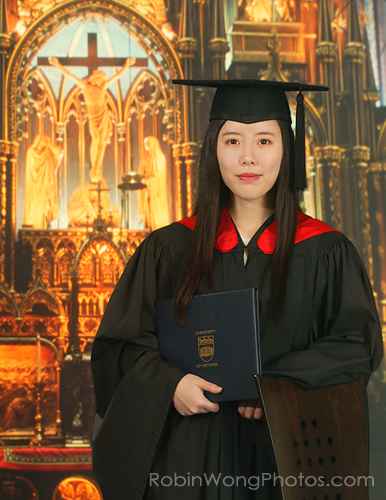 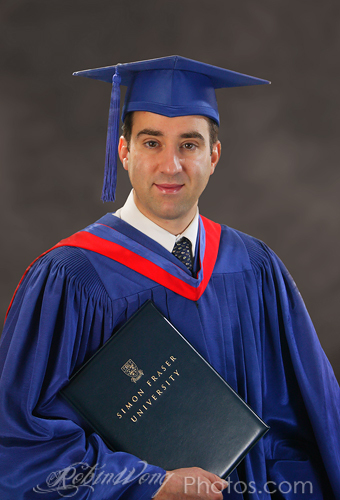 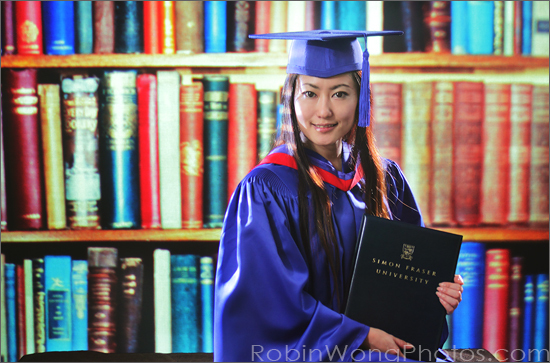 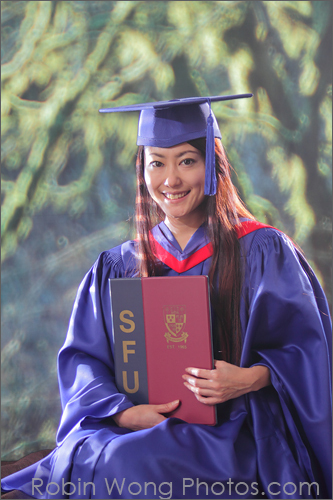 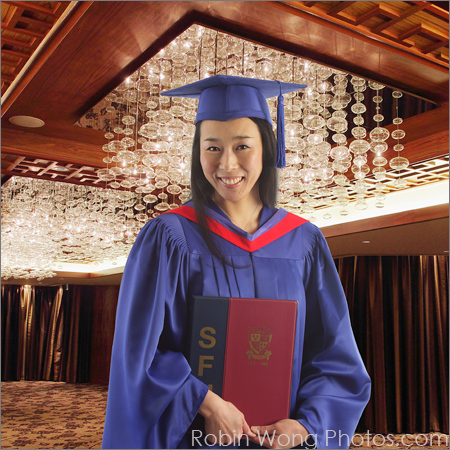 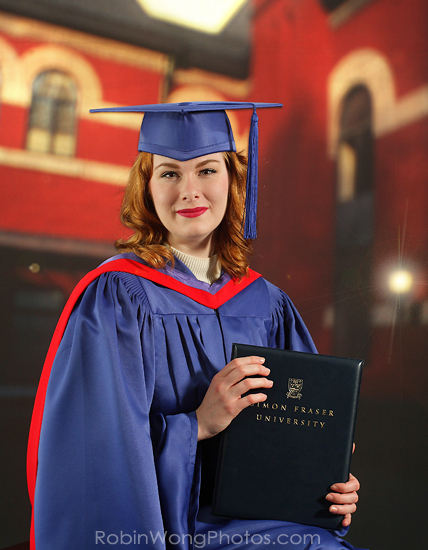 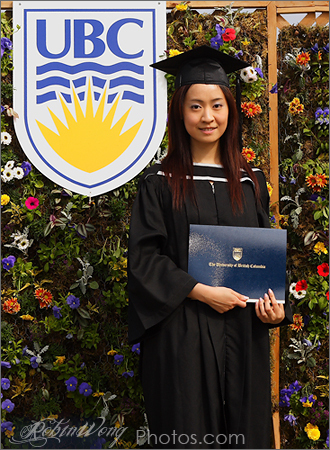 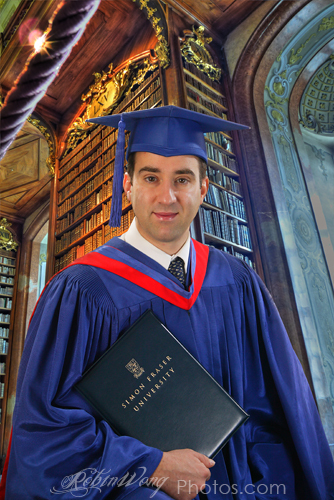 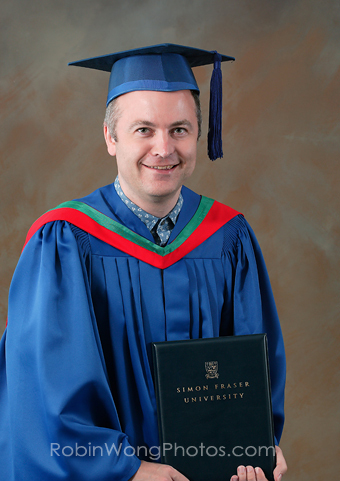 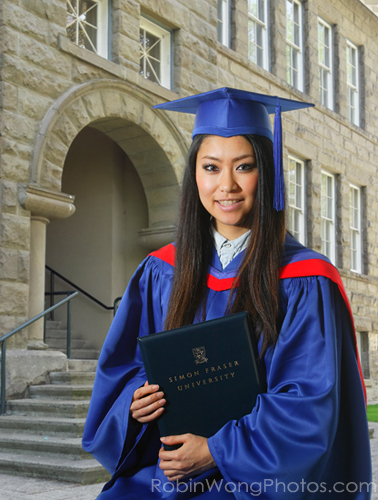 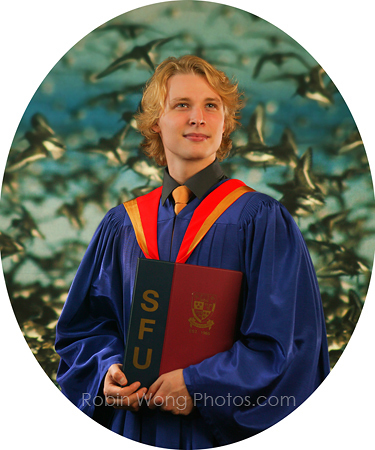 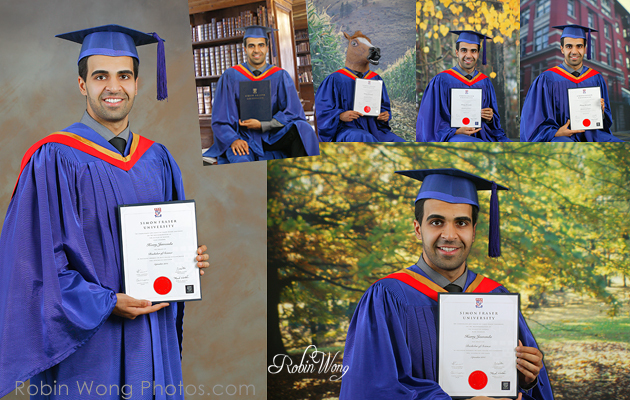 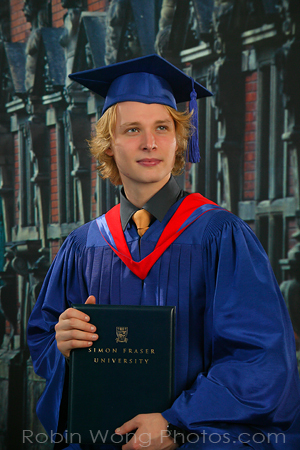 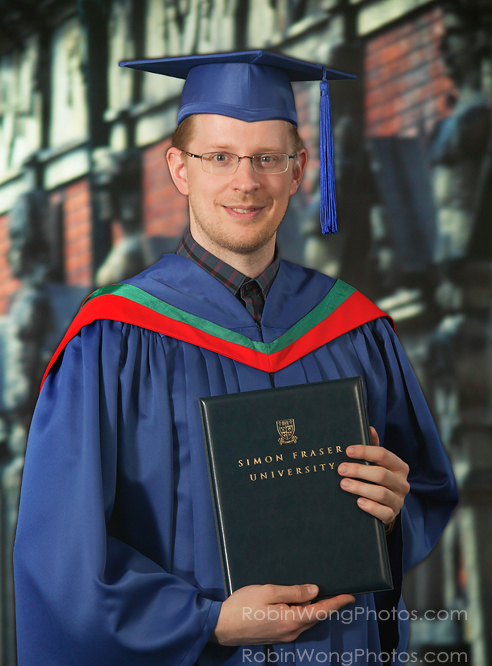 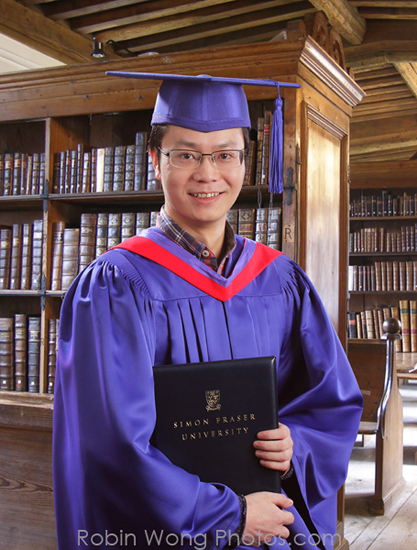 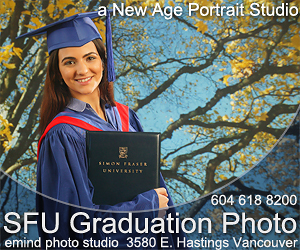 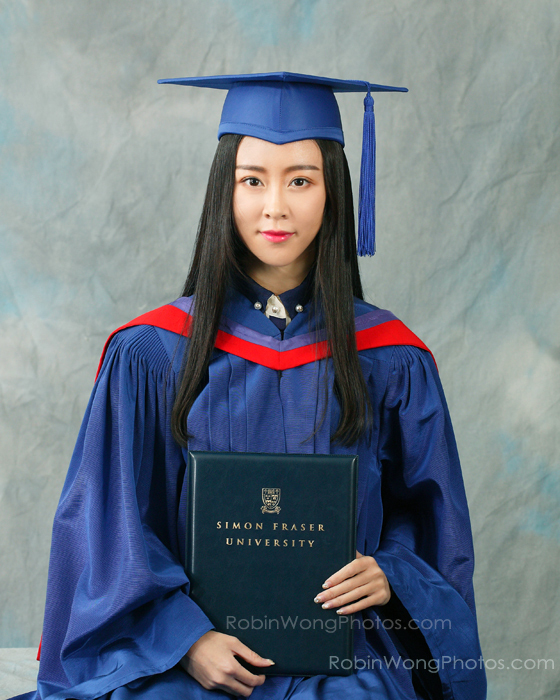 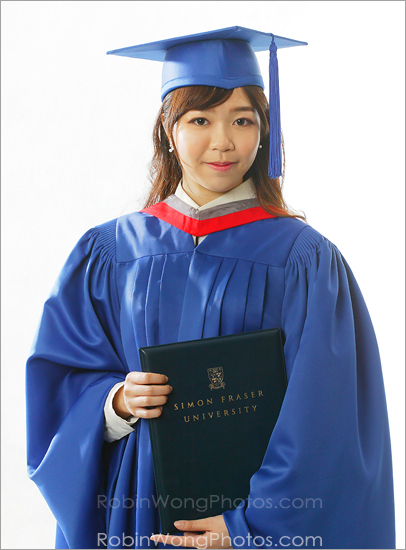 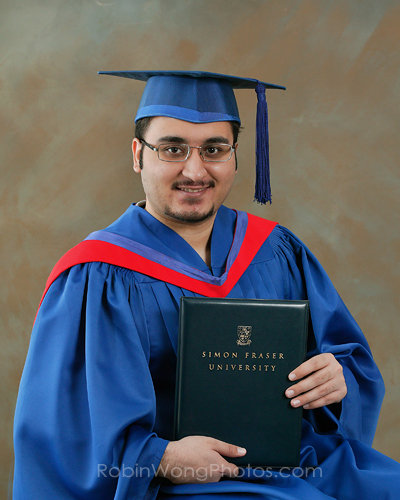 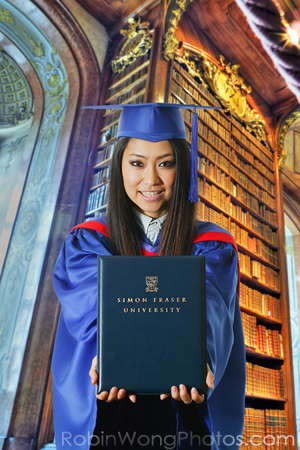 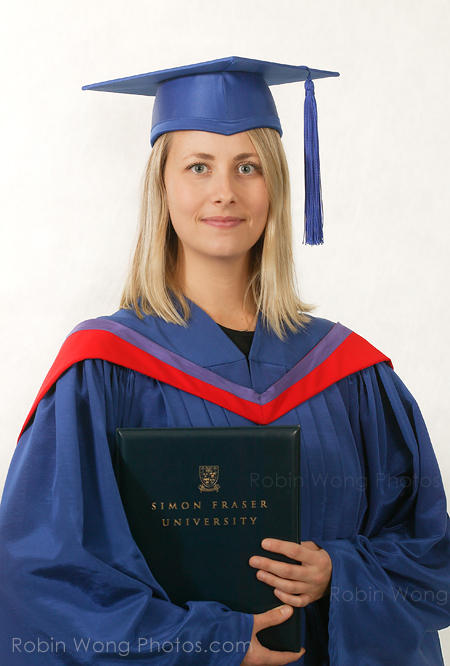 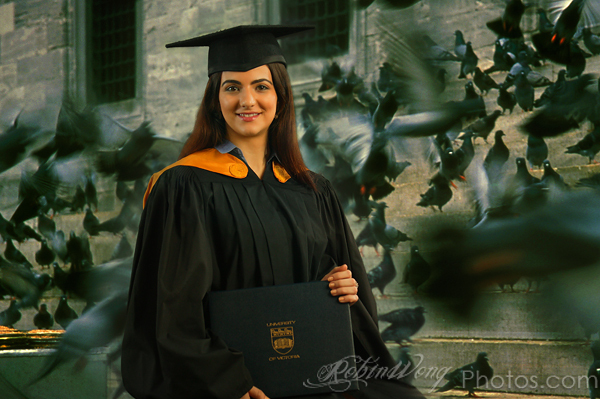 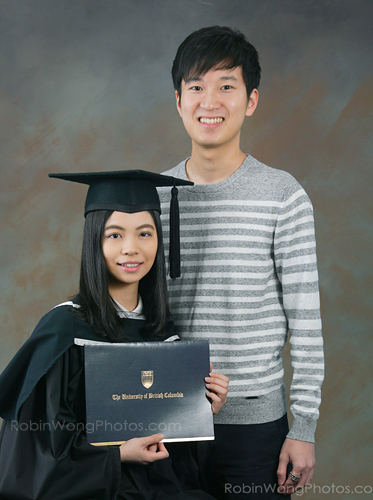 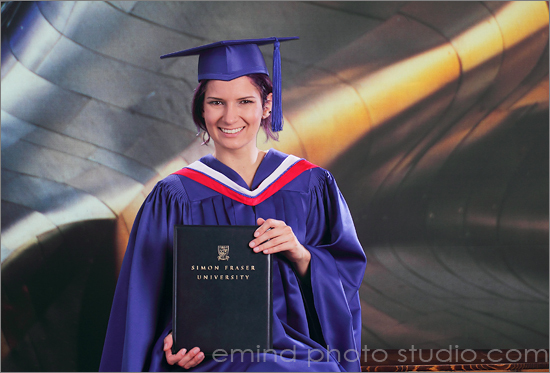 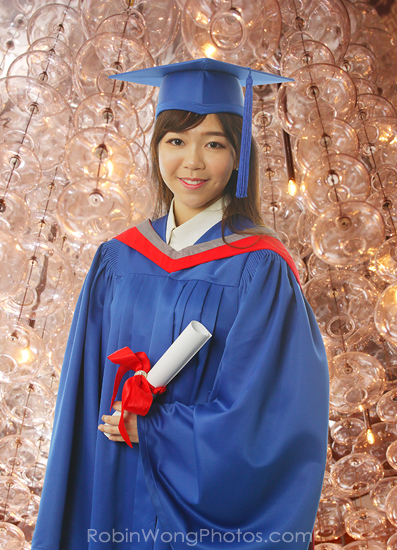 We stock all faculties’ graduation gowns, hoods, and caps for SFU, as well as gowns for UBC and UVic. 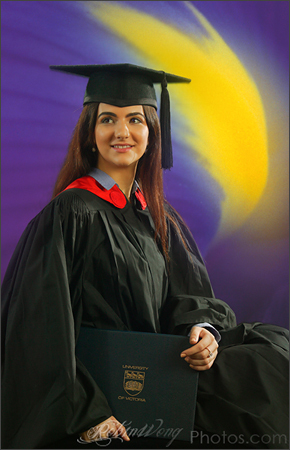 You set the scene, we’ll do the rest. 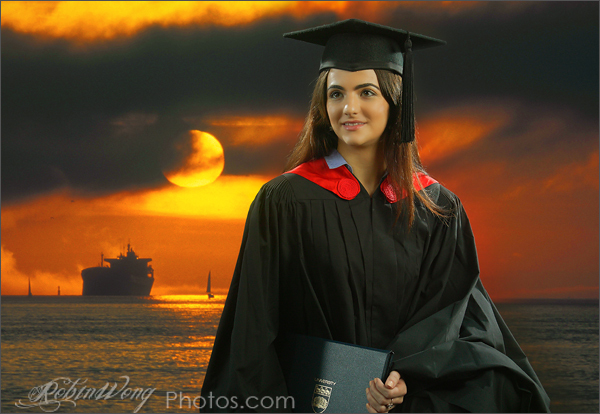 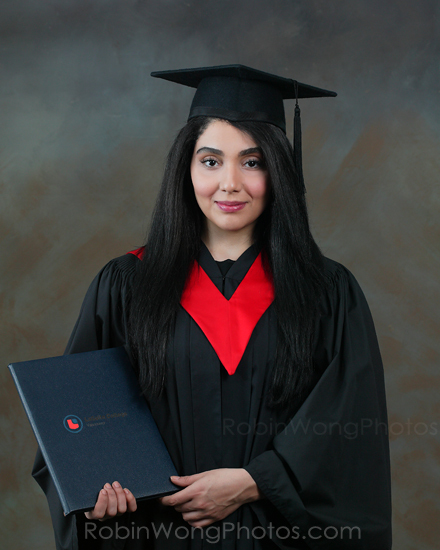 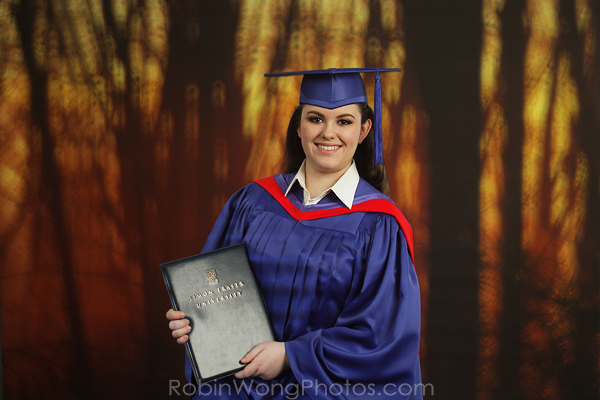 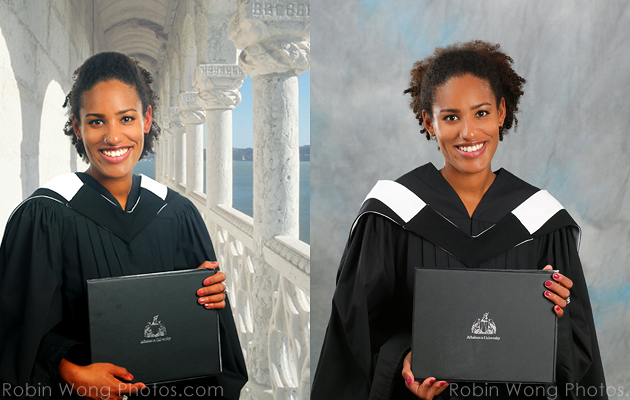 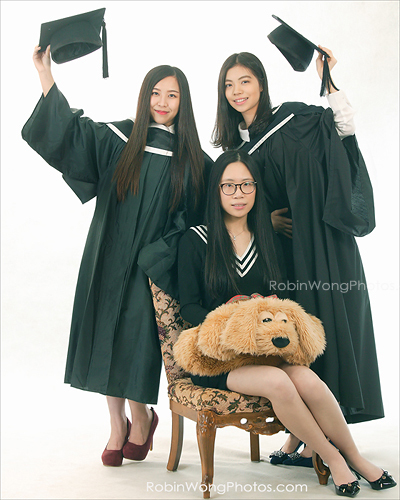 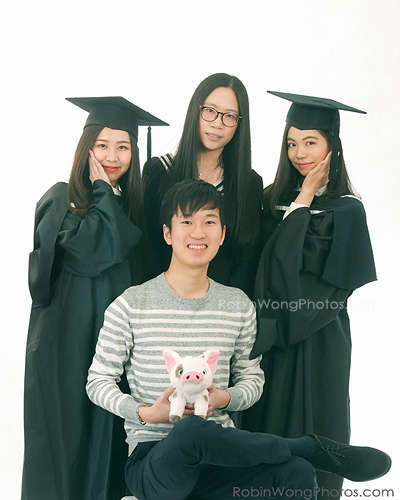 * Seven changing set-up & views, photograph with family (up to 4 people) 12 viewing images 400dpi on CD, two-8×10 and one-16×20 professional prints 2 images touch-up.. $ 450.00 dress code for studio grad photo shoot: must bring in your shirt with collar, Graduation gown is a formal wear ( uniform), we don’t expect you walk in with Tank Top and sandals…. 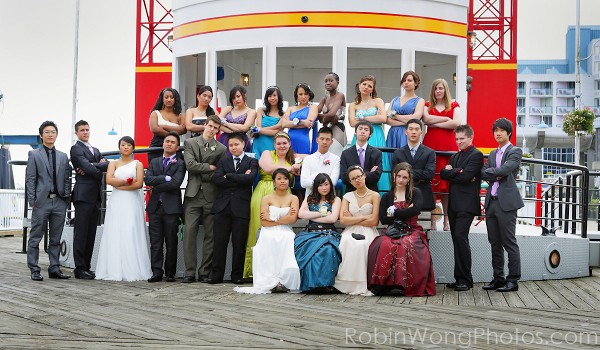 payment method: for now, we accept Cheque or cash.